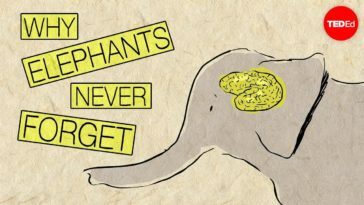 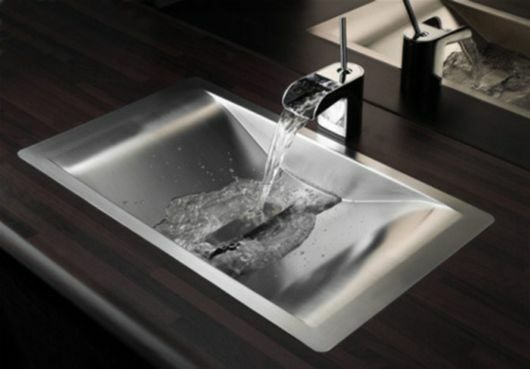 The sink is a great invention, we use it every day, yet we rarely give it a second thought. 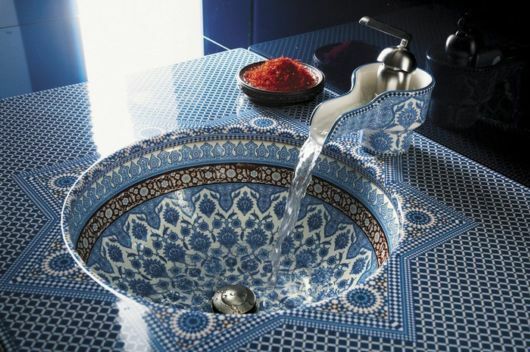 In the past, people used big bowls of water (called wash basins) for washing. 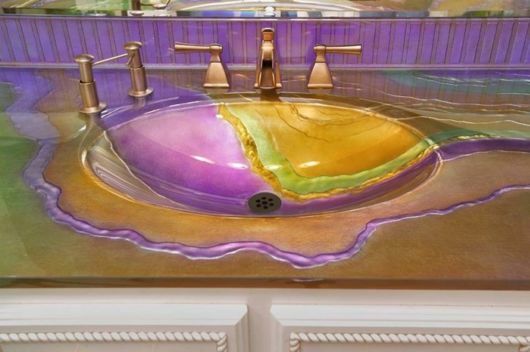 These wash basins did not drain and had to be manually emptied often. 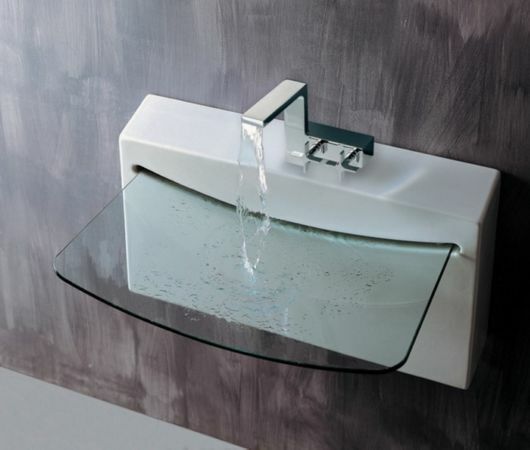 In the 18th century, modern plumbing made fresh water available indoors, along with sewage drainage, and thus the invention of the modern sink came to be. 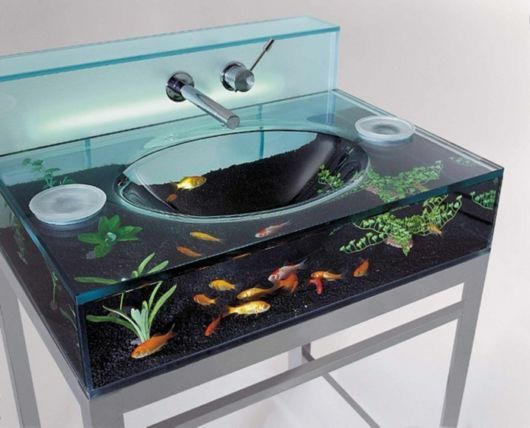 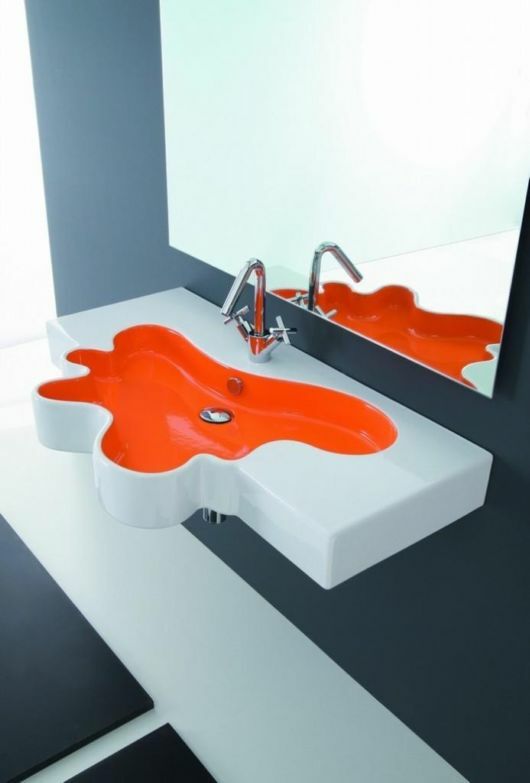 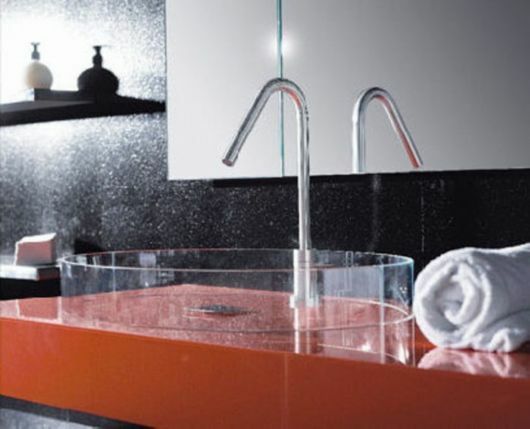 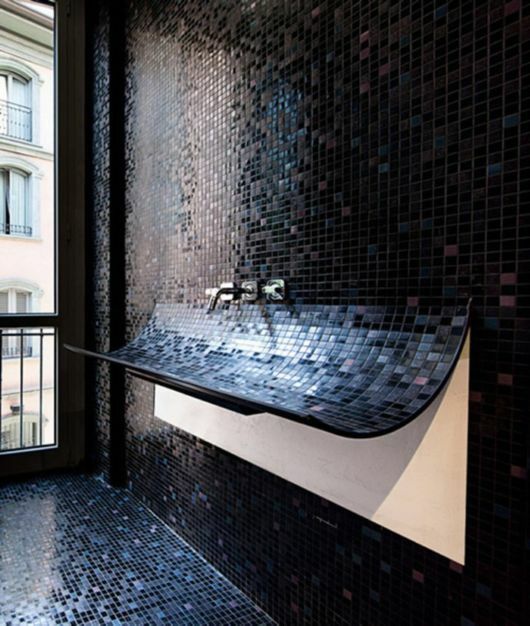 Nowadays, sinks come in many styles, and these are some the most stylish and unique sinks I have ever laid eyes upon. 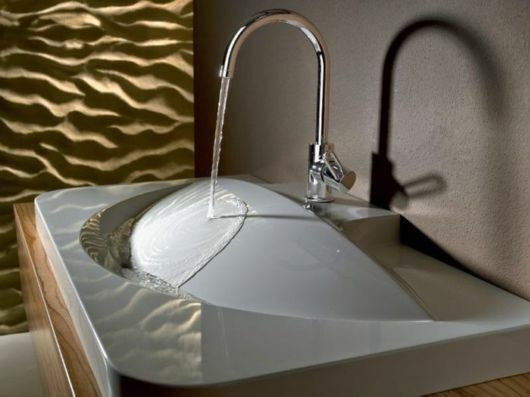 I would waste so much water if I had one of these. 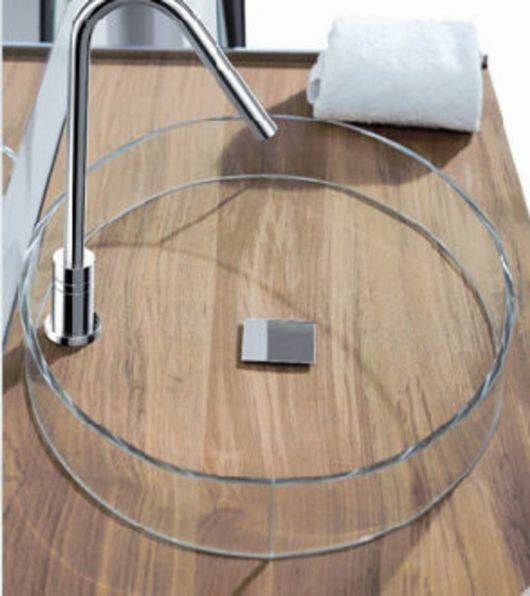 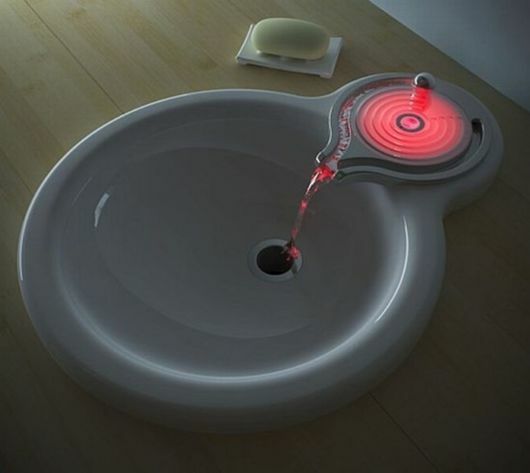 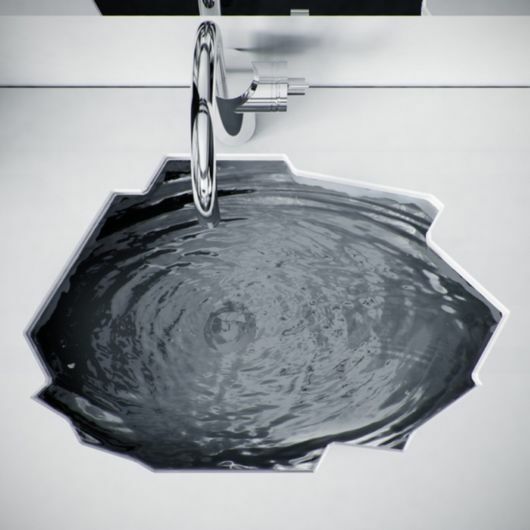 In this stylish sink, you move the ball to turn the tap on. 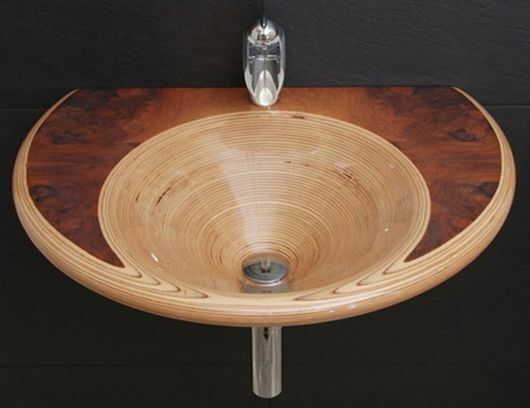 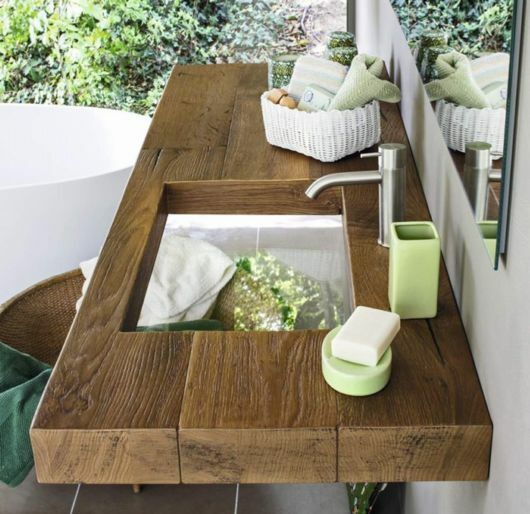 A more stylish wooden sink I have never seen! 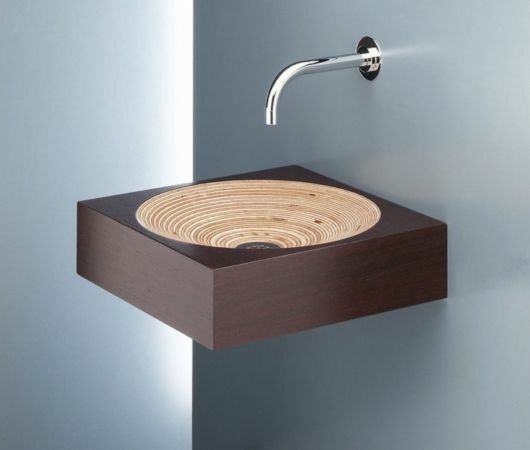 A more modern take on the wooden sink. 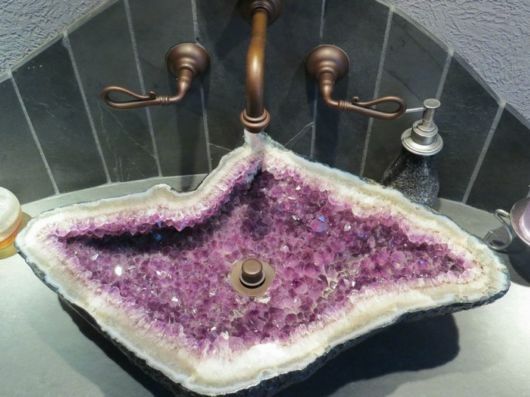 This geode sink is a sight to see! 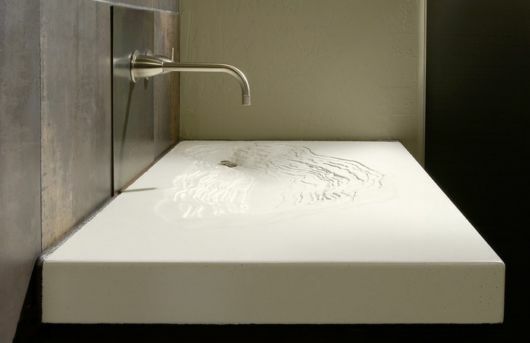 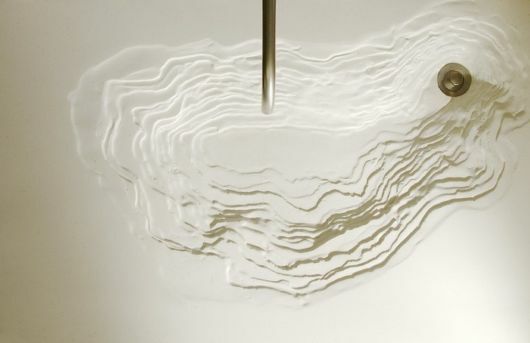 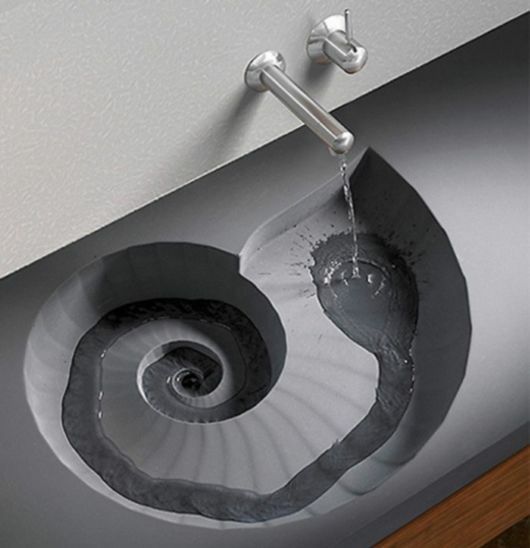 This sink might seem a little odd (unless you’re a geologist). 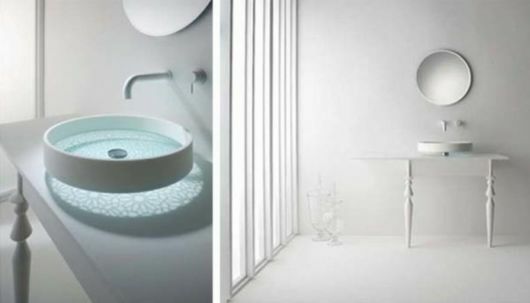 For those who want some oriental flavor in the bathroom. 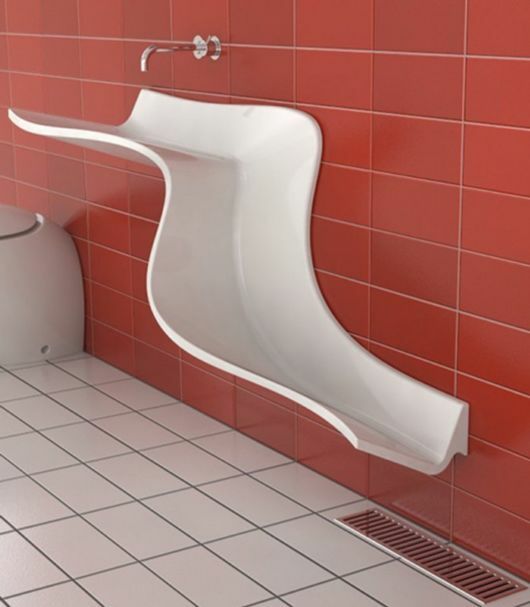 If you enjoyed the opening scene of Disnsey’s Frozen. 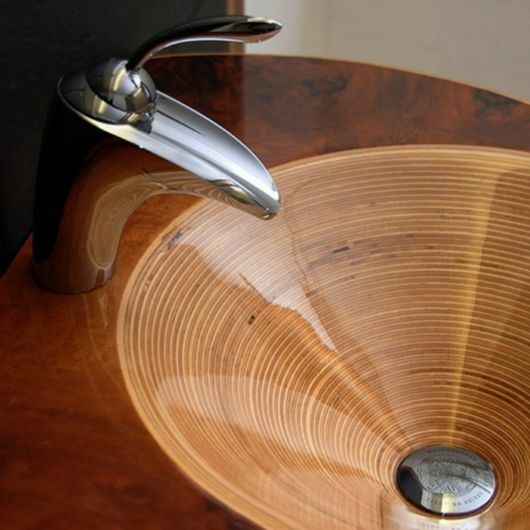 Even a metal sink can look elegant. 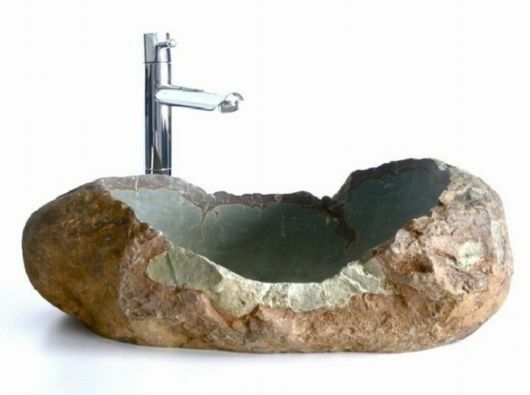 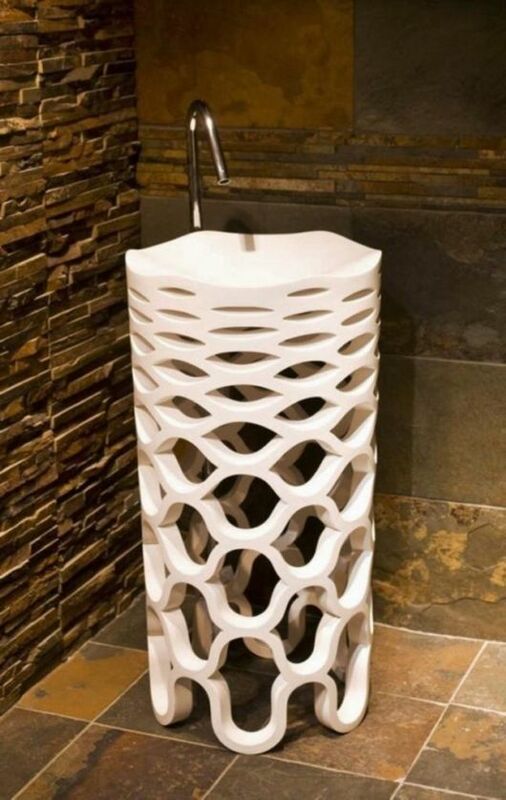 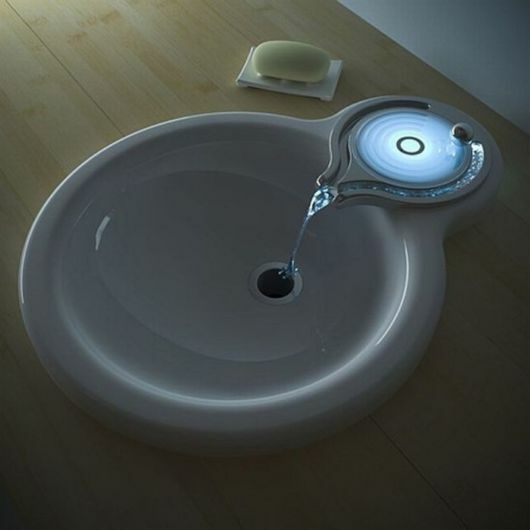 A cool and different wash basin. 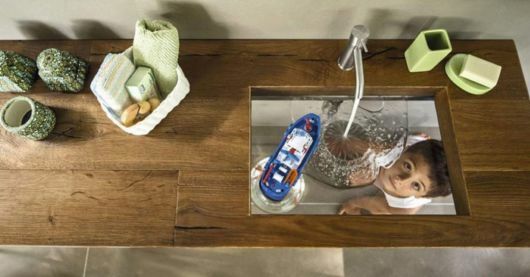 All the modern conveniences of a cave! 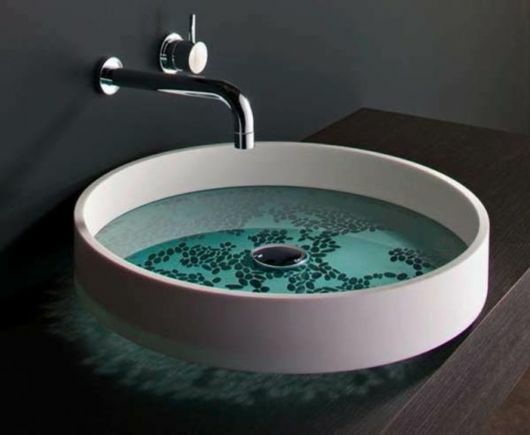 Beautiful and elegant glass basin. 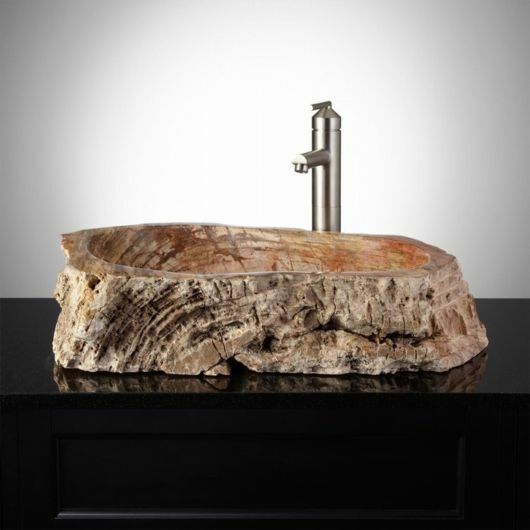 Petrified wood makes for a most unique sink!